Excited to announce the first full band Gabriel Birnbaum show in NYC, at the Mercury Lounge with good buds Office Culture. 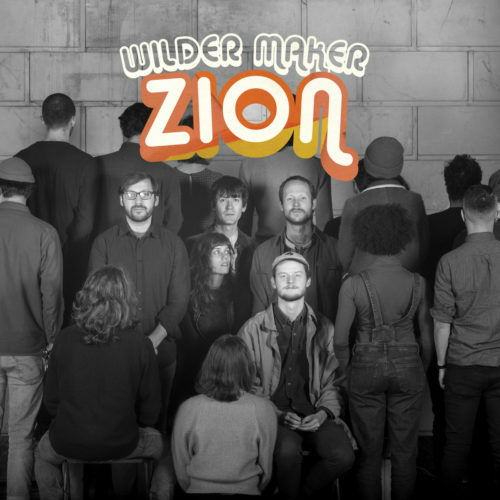 Wilder Maker has a new LP out on Northern Spy Records - it's called Zion, and you can listen to and purchase it here on Bandcamp. All of the songs are mine, and it's the work I'm proudest of so far. We were lucky enough to have the album reviewed and written about far and wide, at Noisey, Line of Best Fit, Spin, Tiny Mix Tapes, Paste, UPROXX, GoldFlakePaint (RIP), Post-Trash, The Chicago Reader, ThrdCoast, WXPN The Key, Aquarium Drunkard, For the Rabbits, Folk Radio UK, and more. I haven't been keeping up. • Debo Band went to Denver, Berkeley and LA to play with Ayalew Mesfin, the legendary Ethiopian singer. It was a magical trip and I hope we will find a way to make it happen again. A vinyl reissue of some of his music is available through Vinyl Me Please. And a quick anecdote: I was just in LA with Debo Band and I stayed for a few extra days at the end of the trip in order to avoid the pit of human misery that is NYC in February. I drove the Pacific Coast highway in 70 degree weather blasting Julia Holter's Have You in My Wilderness with the windows down and the sun pouring in and the person I love in the passengers seat and the blue water glowing in an unreal kind of way. It was an incredibly beautiful experience, and it reminded me what music can do. I'd always liked that record but had never really heard it in the way I did then. It sounded exactly like what I was seeing, the LA Light and the coastal landscape. It was just the kind of euphoric moment I started chasing when I started making music in the first place. Hope to bring some of those to me and you both in March. Recently - Wilder Maker premiered a music video on SPIN. I went to Sao Paolo with Debo Band to play two shows at SESC Pompeia. Wilder Maker played the Welcome Campers festival in western mass. AND today you can hear a beautiful new Ancient Ocean piece on XLR8R today, featuring sax contributions from myself where I attempt to imitate an arpeggiating synth. Wilder Maker's 7" with the amazing Saddle Creek records is here! In 2017, I'm going to be launching a concert series where musicians/composers/visual artists have a chance to workshop/soft debut new ideas w an audience. Inspiration came from several shows in 2016 where I watched a natural intimacy spring up between performers and audiences in situations where the performers were making themselves vulnerable by performing work just in the very first stages of completion. It was exciting and raw and the audiences responded to it. The series is called Fresh Flux, and a trial night is happening at Threes Brewing in February, featuring Jonah Furman (Krill) and Jeanann Dara among others. Simon Hanes (Tredici Bacci) is taking on some co-curating duties with me, others may be involved soon. The idea is to provide a low-pressure, high-attention space for artists to try new ideas (songs, collaborations, departures from the norm, experiments) without the pressure to play a "normal" set (for bands), and without the pressure of a full on premiere of new compositions. Priority is on expanding your art into new and risky spaces. Ideally this will become a space where, no matter who is performing, you know you can come and hear/see/participate in a night of fun, surprising, intimate art. I hope everyone leaves inspired every time. Now, the begging: To make this series a reality, I need your help. If this appeals to you, as a performer, as a listener, as a community member, I really need you to come out and make your support known on February 9th by attending. We need to have a mutually beneficial relationship with Threes in order to make this feasible, and that means bodies in the seats. So I'm asking you, please come out. If you do, I'll make this happen once a month as long as I can.